In February 1949, New York State legislators drafted the De Salvio Quinn Bill to convey Castle Clinton to the Federal government so that it could become a national monument. The De Salvio Quinn Bill was drafted in response to Robert Moses’s attempted destruction of Castle Clinton in the 1940s. After being partially demolished during the construction of the Brooklyn Battery Tunnel, the Department of Interior expressed interest in making the site a national monument.1 In February 1949, New York State legislators Lewis De Salvio and Elmer Quinn drafted the bill to convey the building to the Federal government for that purpose. In 1939, Robert Moses proposed a plan of parkways and bridges that would link Manhattan to Brooklyn, Queens, and the Bronx. Originally designed as a tunnel, Robert Moses felt a better solution would be to build a bridge from Battery Park in Lower Manhattan to Brooklyn.3 The plan for a bridge was not supported by officials or the community and Moses had to settle for the tunnel. Moses, bitter from his loss of the proposed Brooklyn Battery Bridge, insisted that it was necessary to demolish Castle Clinton--a measure of revenge directed toward his opponents.4 Moses would have been successful had it not been for the onset of World War II, which halted the demolition. After being threatened by Robert Moses's plans for the Brooklyn Battery Tunnel, Castle Clinton fueled a preservation battle. 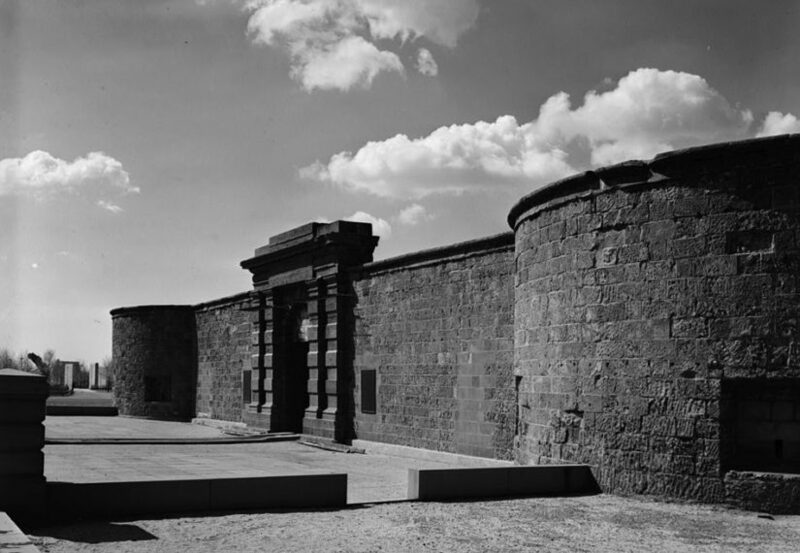 In 1946, the fort was named a national monument by President Harry S. Truman.5 This measure, however, did not offer Castle Clinton any real protection and Moses urged on against the structure. ”Bill Revives Fight to Save Aquarium,” The New York Times, 19 February 1949. Anthony C. Wood, Preserving New York: Winning the Right to Protect a City’s Landmarks (New York: Routledge, 2008), page 81. Robert A. Caro, The Power Broker: Robert Moses and The Fall of New York (New York: Alfred A. Knopf, 1974). Anthony C. Wood, Preserving New York: Winning the Right to Protect a City’s Landmarks (New York: Routledge, 2008), page 79. ”Bill Revives Fight to Save Aquarium,”The New York Times, 19 February 1949. ”Fort Clinton as a National Monument Discussed by Truman in a Letter to Delano,”The New York Times, 24 February 1949. ”Fort Clinton Bill Sent to Governor,” The New York Times, 23 March 1949. ”Fort Clinton Bill Signed by Dewey,” The New York Times, 29 April 1949.